The Hoba Meteorite is an iron-nickel meteorite located on a farm 18 km from Grootfontein in northern Namibia. Believed to have fallen some 80 000 years ago, this 60-ton meteorite, claimed to be the largest in the world, measures 3 m x 3 m x 1 m. It was declared a National Monument in 1920 [ http://www.namibweb.com/hoba.htm ]. The Vredefort structure is currently regarded as the oldest and largest clearly visible impact structure on Earth, formed when a gigantic meteorite (larger than Table Mountain) hit the Earth some two billion years ago. The original crater is estimated to have been 250 – 300 km in diameter. It is difficult to visualize from the ground; the central uplift is near Parys in the Free State and the outer wrinkle is the Braamfontein Ridge in Johannesburg. 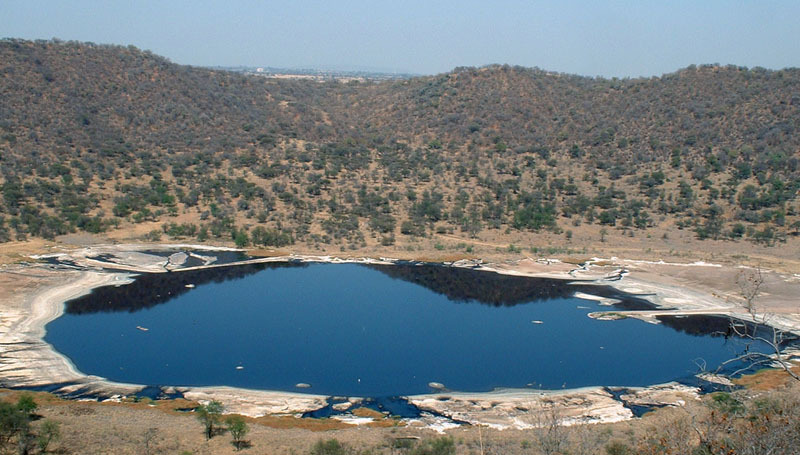 Vredefort played a role in the concentration of the Free State and Transvaal gold deposits. In 2005 July it was declared a World Heritage Site by UNESCO. There are only two other impact structures as big as Vredefort, the Sudbury structure in Canada and Chicxulub in the Caribbean. The oldest (3 billion years) known impact structure is in the Manitsoq region of West Greenland and was discovered in 2009.